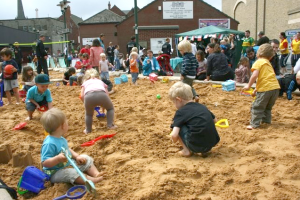 We’re bringing the seaside right into the town centre of Goole. 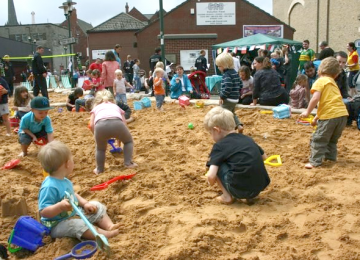 Imagine a sandy beach, deckchairs, donkeys, dance, sports, boats, sandcastles, singing, a triathlon & much fun. Urban Seaside Special is a means to boost town centre activity and use the town centre space in a different way. Town Centres belong to everyone; they are the heart of a community. We're keen to source everything that is needed locally and, showcase the vast and varied talents of local people, If all goes to plan, it will be a spectacular day for Goole’s people and its businesses. Last year we trialled Beach Day as a means to boost town centre activity and use space in a different way. It was super fun for everyone! The event was a renowned success, enjoyed by over 5,000 people and a massive highlight of the year for Goole. Goole is Britain’s most inland working Port right in the very heart of the town centre. 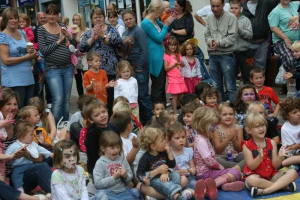 Local people are familiar with their industrial urban realm of cranes, water and ships prompting the idea of a festival that not only encourages town centre visitors but also promotes family fun in the heart of the community. The event brings together three community strands, residents, visitors and business, not only at the event but throughout the ideas, organisation and planning stages too. Summertime Festival is Goole's way of working together to not only boost trade and interest in the town but to also share and experience a great time together. There's loads more to say! Goole is Britain’s most inland working Port situated right in the very heart of the town centre. 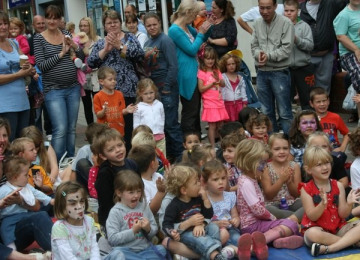 Local people are familiar with their industrial urban realm of cranes, water and ships prompting the idea of an event that not only encourages town centre visitors but also promotes family fun in the heart of the community. Goole Triathlon Group is celebrating their tenth anniversary this year. We're delighted to have organised the finish of both the adult and juniors triathlon in the pedestrian plaza during our seaside special. All we really want to say is help us to fund Goole's super sunshine summer event of the year then come on down and enjoy it with us! Beach Huts! Design your own using a myriad of materials, you name it and we’ll use it! Business in Goole (B.I.G) is a town centre business community forum. Previously formed as a 'Retail Forum' in 2009 it quickly evolved to engage with a wider business town centre group of service centre businesses. It has one common aim which is to increase activity in the town centre which in turn has the potential to increase the sales of goods and services thus sustaining the town centre. Project Delivery Manager: Business in Goole The Project Delivery Manager takes legal responsibility for receiving and spending the funds raised and ensuring the project is delivered. Contractors: S Voase Builders Limited,Carville Donkeys,Strange Reality Music Productions The team responsible for building or installing the project.